In response to customer requests SPG is now a supplier of OLS Tubs. After much research and consideration we chose OLS Tubs because of their high quality ingredients and affordable prices. SPG is now stocking Trouw Nutrition products. 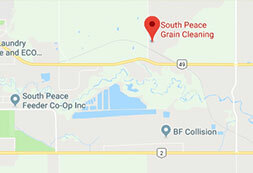 South Peace Grain is working hard to become your "one-stop shop" destination for all of your livestock feed requirements. We've selected a line of products that our customers have been requesting and we would love to hear what you think!